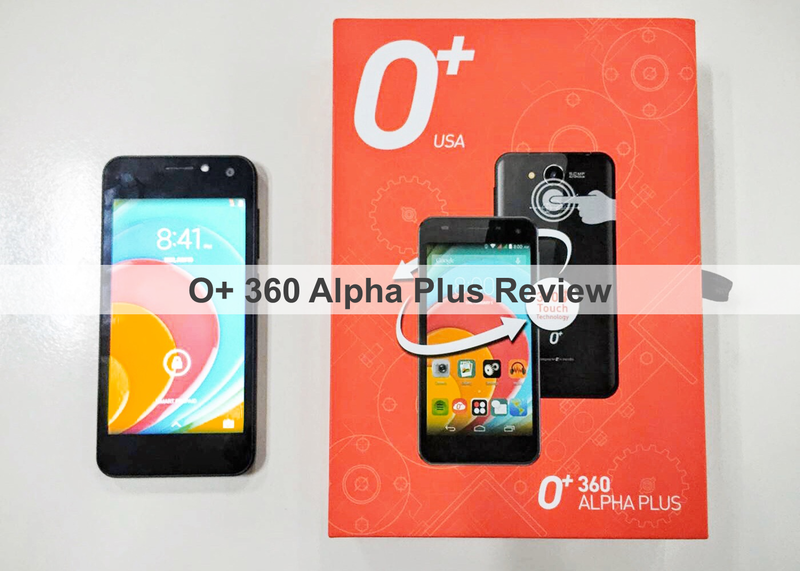 Our O+ 360 Alpha Plus Review is finally out. The handset streamlines selfie experience to the next level! Find out why! Due to the commercial success of selfie-centric phones in other countries, the trend struck the local market with several locally-branded handsets coming with selfie-inspired hardware in their respective feature set. This means that front cameras now come with bigger sensors paired with an LED flash and a nifty software for a worth-sharing output. Being the selfie capital of the world, there's a big market in the selfie-loving community and O+ wanted to get a good hold of it with its current affordable offering, the O+ 360 Alpha Plus. The company has been marketing the handset through its twin 5-megapixel shooters, front-facing camera and the Instant Beauty Fix software. The latter "auto-magically" edits your face features into something that you really wanted to share in Facebook and other social media platforms. We know that there are several questions popping in your minds right now, and we intend to answer them right after the fold. Last month we have made our initial impressions and unboxing article of the handset which has clearly given us a good idea on what we will be expecting. It is well-built and compact for a sub-5K smartphone. Our review unit is a black slab accented with a matte back cover which feels great on the hand. The external buttons, as we have described in our unboxing, is on point. Hitting these buttons comes with great accuracy. The arrangement of the power button and the volume rocker is quite unusual though; both are housed on the right lateral side of the handset which tends to be bothersome if you mistakenly press the power button when you intend to lower down the volume. Left-handers will definitely find themselves in tough situations with this arrangement. However, for a month of using the handset, I already got the hang of it. Overall design impression, the Alpha Plus feels just right. Its 4.5-inch screen comes with a sweet spot in the hands. It’s also a breath of fresh air to think that the back panel is not a fingerprint magnet; I always like the feel of matte covers and the way it keeps the handset from slipping on the hand’s surface. The sides curve to nestle into the hand which gives the handset an overall svelte feel. The qHD tech just feels right into the O+ 360 Alpha Plus’ 4.5-inch screen. To be specific, the handset packs 540 x 960 pixels which instantly fair up with other “selfie smartphones” like Torque Droid Swivel and Starmobile Diamond D3. However, the O+ 360 Alpha Plus packs more pixel density with its 240 ppi due to its smaller display. Display quality is surprisingly good – color reproduction has great registers and pictures are vivid. The fact that it is also an IPS panel, its viewing angles is accommodating to oblique points. If you wanted to use it under sunlight, the brightness kicker could be very useful. 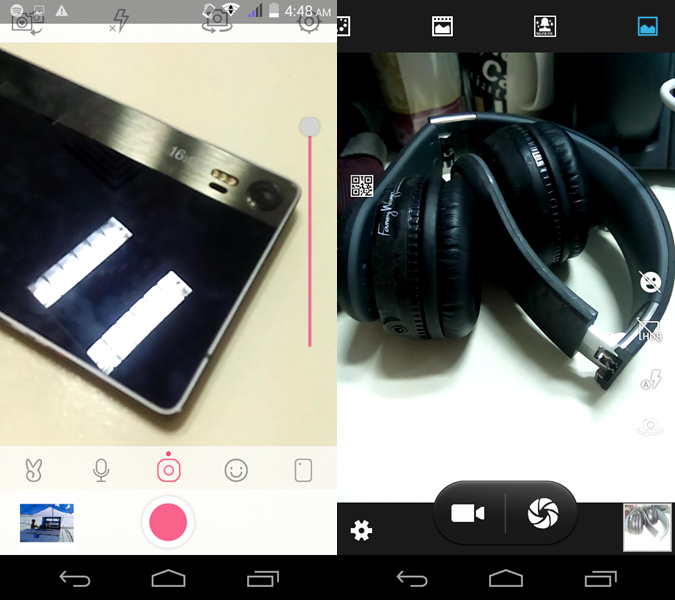 The screen comes with a “Lomo” effect which makes the screen smaller than its actual size. Likewise, the inclusion of on-screen buttons also eats a significant amount of space to the already limited 4.5-inch display. O+ is positioning the 360 Alpha Plus for "millennials" who are exceptionally fun-loving and selfie-sharing users. The handset is all about the camera and the software that goes with it. For starters, the handset comes with a 5-megapixel camera on both front and back. Both are reinforced with an LED flash; the Alpha Plus is also one of the cheapest handsets that tout a front-facing LED flash. The front camera is a great worker. By default, it picks up a lot of light to whiten skin tone of the image making a better output compared to standard front facing camera. For low-light situations, the front-facing camera helps in producing a viable light source but it still struggles to get a good selfie output. Moreover, the embedded beauty fix software will do the trick in smoothing out details of the photo. To be fair, the front-facing camera is an improvement to other regular 5MP camera that we have been accustomed to. The Instant Beauty Fix software is also one of the best tools that I have used to date. It comes with a bucket-full of features to patch the imperfections captured in your selfie shots like skin tone enhancement, nose line improvement, eye bags removal, etc. For the girls who wanted to add make-up on their photo, the tool offers it on the fly. 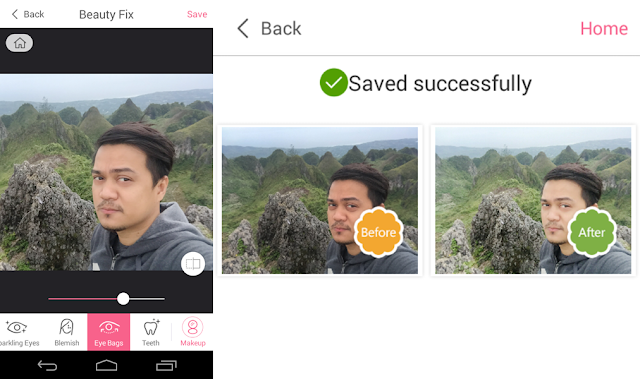 Stickers and other gimmicks are also included in the software; using this tool is quite a new experience for selfie takers. The rear camera is pretty basic, but still competitive enough to capture decent photos. We have tried to hit outdoors and snap some picturesque scenes using the O+ 360 Alpha Plus rear camera. In fact, the PinoyMetroGeek team has climbed the Osmeña Peak and hopped to Bantayan Island here in Cebu just to check the rear camera capabilities of the O+ 360 Alpha Plus. Check out the raw shots below. The O+ 360 Alpha Plus is also a multimedia device aside from its selfie-loving features. In its core, the handset harnesses its computing power with a MediaTek MT6582M chipset which churns with a 1.3GHz quad-core Cortex A7 processor, Mali 400 MP2 GPU and 1GB of RAM. We tried playing several titles like Angry Birds 2 which the handset processed without choking. However, after 30 minutes of continuous gaming, the chipset sends off a considerable amount of heat. Running Social Media apps is smooth; titles like Facebook, Instagram and Twitter are best performers. I’m not trying to be nitpicky so I passed on some hard-hitting titles like Asphalt and Need for Speed; but the handset could still ride on a smooth GPU rendering with Clash of Clans and Eternity Warriors 3. Swiping is smooth; and switching between apps comes with ease. The handset is also a good companion for browsing. Sound quality is also decent, there’s a slim chance that you’ll miss it since it is smacked tight at the back panel of the device. It lacks the depth and bass when compared to other handsets with stereo speakers in this price standpoint. However, it could also produce great output once paired with a good headphone. As far as the battery is concerned, we tried kicking the brightness to 100 percent played a 720p video on the loop with all notifications coming every now and then over WiFi. This setup drains the O+ 360 Alpha Plus’ 1500 mAh battery for 3.5 hours. The O+ 360 Alpha Plus is clearly a chic slab with matte skin. It is significantly marketed in the entry-level market with a selfie-centered camera forte in taking social media-intended snaps. It's true, the device is positioned to attract teens and young adults which definitely have an obsession in taking selfies. Hardware and software-wise, O+ Plus 360 Alpha Plus nailed this specialty. There's also no overlooking the fact that the handset comes with a capable hardware to keep up with your non-selfie related tasks. All of these in a very practical price of Php 4,995. O+ is offering the handset for Php 3,995 until August 31 which clearly is a great value for a smartphone.